It is with a very heavy heart that I write this post. At a time when we had been celebrating our anniversary and all the great work we have done we have been hit by tragedy. To update those of you who have not heard the recent news – the government in Romania has just sanctioned the mass slaughter of stray dogs. The story behind this is equally tragic but the reaction has been so over-the-top it is hard to understand. A few weeks ago an aggressive stray was released from the shelter, whoever did this has a huge responsibly on their shoulders for their inappropriate and irresponsible behaviour, because this dog went on to attack and kill a child. There are guidelines around releasing dogs back onto the streats and dogs that have shown signs of aggression should not be released. The result of these actions and this tragic loss of life has been a huge uproar and backlash against dogs. People have demanded that the government finally get rid of the strays – by killing them. 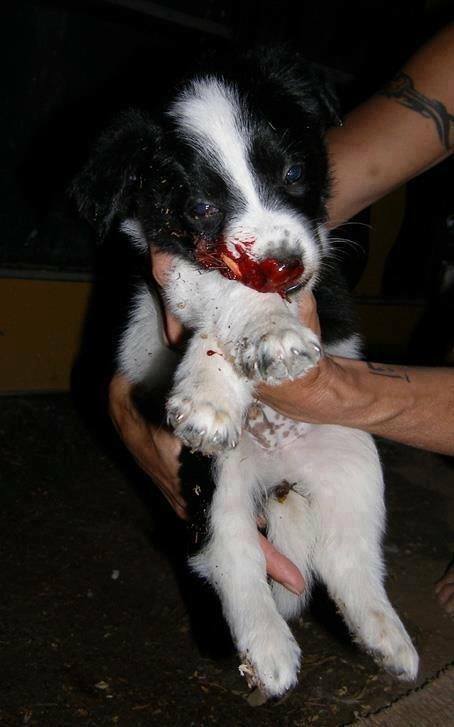 Again we have seen mass killings on the streets, with dogs being beaten to death, as the photo of this dead, bloodied puppy shows. This poor innocent soul did not do anyone any harm and was in no way responsible for what happened to the child. This little puppy may have had a chance at a happy life with a family, but instead it was not only killed but it was killed in a totally inhumane, terrifying and painful way. The government as now given the light for mass euthanasia of stray dogs. They have set in place a law to say that if a dog at a shelter is not claimed by their owners or found a pera permanent home, after 14 days, and in some cases 7 days, they are to be killed. This in itself is tragic – as a charity working to re-home dogs we can tell you that it is impossible to re-home a dog in this timeframe. The other worrying element here however is how the dogs will be killed. Given that the authorities have not had the funds to sterilise dogs in the shelter how do they propose to pay for a humane form of euthanisia?! Those of use working on the ground can tell you there will be nothing humane about how these dogs will be killed. What we are about to witness is a mass slaughter and inhumane treatment of animals that will put Romania on the map next to countries in Asia were dogs are essentially tortured to death for the meat trade. We are going to see a member of the EU commit atrocities that should not be happening at all – never mind on a level like this and most certainly not sanctioned by the same government that signed The Lisbon Treaty (art. 13, TFEU) where it states that the “animals are sentient beings”, the European Parliament Resolution of 4 July 2012 on the establishment of an EU legal framework for the protection of pets and stray animals ( 2012/2670 (RSP ). As an EU citizen, coming from a country paying a considerable amount of tax to the EU to provide subsidies and financial support to Romania I am appalled to see this blatant breaking of EU law, and to see this government sanctioned animal cruelty. I demand that the EU steps in and places political pressure on the EU government to revoke this illegal law and to start tackling the real reasons for the problem of strays on the streets, namely to lack of sterilisation programmes and the huge level of corruption and disregard for law and animal welfare. I have already written about the fact that government funded sterilsation programmes seem to be twice as epxensive as the ones charities perform – where does all the rest of the money go?! The answer is into the pockets of corrupt local officials. This is the root of the problem and this is where the government needs to act – not by introducing ridiculous, ineffective and cruel laws! Mass slaughter is not the answer, this has been proven time and time again in numerous countries, and if they have the money for humane euthanisia why has this never been used to neuter the dogs and start really tackling the problem?! If you would like to also demand action and answers please contact the Romanian and EU politicians and ask how this can be happening in an EU country – demand answers and action. Romania is already known by animal cruelty . Please, be advised that if the killing of dogs starts, we will show to the entire world the reality of the dog camps, we will notify worldwide about the financial interests behind the business of killing dogs, we will withdraw any support that we have given so far to your country, we will boycott Romanian products and tourism, as no one will want to associate with a corrupt, cruel and immoral country. Please stop them killing us – we are innocent and deserve to live! OMG!!! The poor puppy did not deserve this. How do you bet a dog to death, I just cannot believe there are such evil, cruel people in this world. I am crying inside! Why does the human race have so much disrespect for animals??? What happened to Mickey Rourke helping the strays in Romania. Because you do not have 600.000 street dogs in your city and your cildren are not killed by dogs you can not undrerstand why we need to fix our issue. If you would like, come to Bucharest and take a few dogs at home, you are more than welcome! 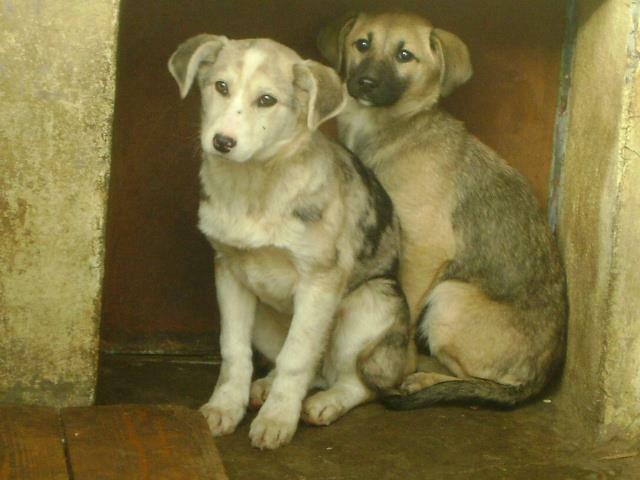 Actually we are trying very hard to rehome as many of the dogs in Romania as possible. The issue we have is that it is well documented that mass euthanisia is not the most effective, long term solution to reducing the number of stray dogs. If you really are concerned about the number of strays then you should be following the best practice in this area and not charging ahead with a witch hunt which is a waste of tax payers funds. The proven way to reduce strays is to introduce a thorough TNR programme – and this is the only way to long term have an impact on strays. It is also noteworthy that this is a cheaper option than mass euthanisia so as a Romanian tax payer (which I presume you are) you may like to ask why your tax money is not being spent in the most effective way to tackle the solution. One of the reasons many other countries do not have as many strays as Romania is precisely because they have put in place more effective solutions, and not solutions based on a hysterical response to a single incident. A second issue we have with the mass killing of strays in Romania is the way it is being carried out – namely in a non-humane way. Finally I would like to add I find your comment about children being killed offensive and inaccurate – the current issue was the result of one dog and one child (which is also incidentally now being questioned) and if you have proof that there are multiple children being killed by strays then please do share it with us. So I would kindly ask that in future when communicating with us or our readers on this issue you stick to providing accurate and truthful content and not sharing inaccurate and exaggerated content. I know – I can’t fathom it either. So sad. Your attitude towards the destruction of life especially an innocent dog is quite disturbing. There are many cruel people in this world and that is why good people must stand up for what is right. Also, you state children being killed, so this means there must be more cases. I am curious about all of these children you speak of. “Un om neprihănit ceea ce privește durata de viață a animalelor” – Proverbe 12:10, “Dacă aveți oameni care va exclude oricare dintre creaturile lui Dumnezeu la adăpost de compasiune și milă, vei avea oameni care se vor ocupa, de asemenea, cu semenii lor” – Francisc de Assisi, “Sper ca pentru a face pe oameni să înțeleagă modul în care animalele neputincios sunt, cât de dependenți de noi, încredere ca un copil trebuie ca noi va fi un fel și să aibă grijă de nevoile lor … (Ei) sunt o obligație a pus pe noi , o responsabilitate nu avem nici un drept să neglijeze, nici să încalce cu cruzime …. “- James Harriot, “Măreția unei națiuni și progresul ei moral pot fi judecate prin modul în care animalele sale sunt tratate” – Mahatma Gandhi. I have written them all. Some mailboxes were closed. I just wrote that I want it to stop. What right does any sick minded human have the right to brutally abuse or take the life of God’s creations. Animals are living breathing beings and should be treated as humans are. They must stop killing innocent animals they have a right to live people have no right to kill dogs !